Managing Invoices can be a very hectic task. An up-to-date record of invoices is required not only to accurately calculate your revenues but also for filing taxes. In this article we will discuss how you can manage your invoices in RepairDesk. Let's get straight to it. On RepairDesk's main screen, simply click on Repairs and select Manage invoices from the list. You will land on the main listing page of invoices. From here you can sort invoices or search for specific ones via Search Filter, Create a New Invoice, Export Invoices in the form of CSV file, perform various actions on single or multiple invoices and view status of invoices via graphical representations. Sort your invoices through our powerful search filter. Just click on Search Filter button on Manage Invoices screen, enter parameters in relevant fields and hit the Search button. All invoices falling into mentioned criteria will be displayed. Product Type - View invoices belonging to a particular service or product type i.e. repairs. 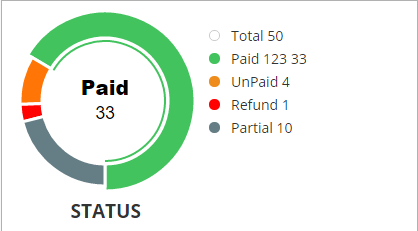 Status - View only those invoices which have the mentioned payment status i.e. paid, unpaid, etc. Click on Export Invoices to download a CSV file comprising of key details about each invoice. Once you have clicked on the button, the CSV file will be automatically downloaded to your system. You can also download individual invoices as PDF. When you process a transaction via POS and checkout, after confirming payment, RepairDesk automatically creates an Invoice for the transaction or ticket. But you can also create an invoice directly from Manage Invoices. Click on Create Invoice button. You will be taken to a screen where you can enter relevant information such as adding an existing or new customer to an invoice, add a new or existing product to an invoice, and mention order details. Once done, click on Save to create an invoice. 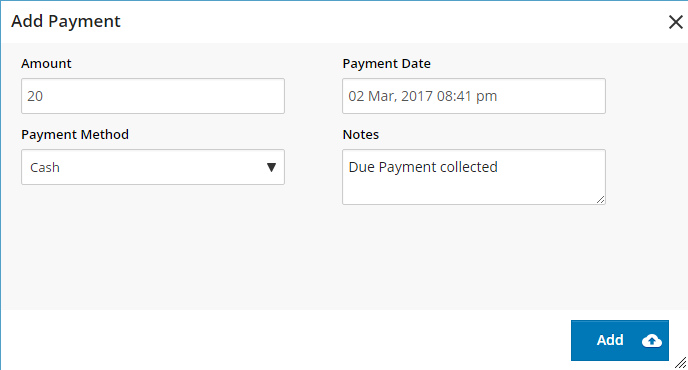 You can create an invoice from the ticket screen as well. RepairDesk enables you to perform actions on multiple invoices in a single go! To learn more, please click here. You can customize invoices as per your requirements in RepairDesk. To know about how to customize invoices, please go through this article. You can also choose to customize Invoice ID. In RepairDesk you can easily add a payment for an invoice. Just click on Action button against an invoice and select Add Payment option. Enter the amount, payment method, date and notes and confirm payment to be included in Invoice. If you consider adding payment to invoice one by one to be a very tedious task, don't worry! RepairDesk enables you to add payments to multiple invoices in a couple of clicks. You can read about this functionality in detail from here. On Manage invoices there are two graphical charts along with stats which give you a holistic view of your revenue stream. This graph shows you the amount of invoices which has been received or is currently due and yet to be collected from customers. 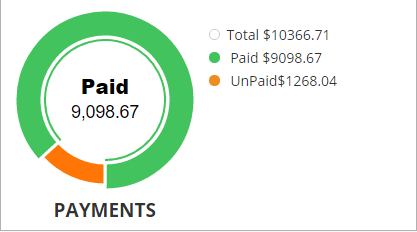 Status graph displays invoices according to their payment status. Stats tell you how much revenue amount is outstanding along with the amount of tax collected. Q. How can I restrict employees from changing prices of items on an invoice? 1. Head to Roles Permission under Employees in Settings. 3. 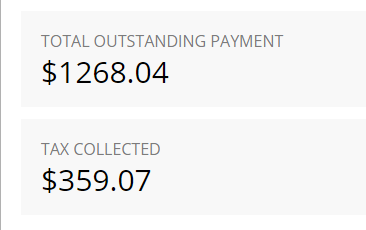 Click on Invoices section to expand section and view triggers. 4. 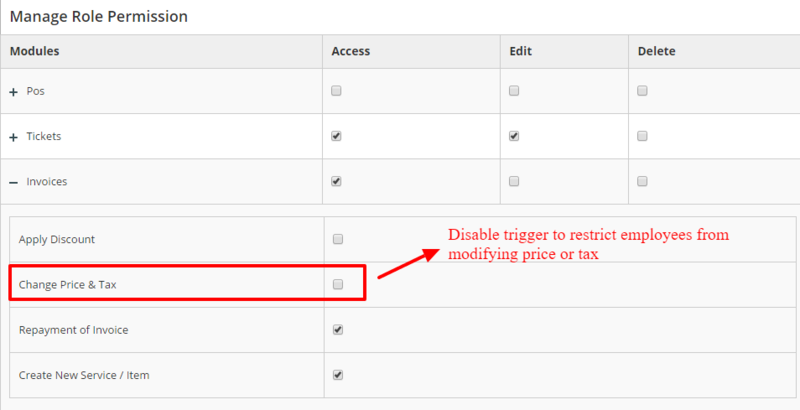 Disable the trigger "Change Price & Tax". Now employees belonging to the selected role cannot modify prices or tax in invoices. Q.Can i view stock of other store while creating invoice through manage invoice? A. yes you can see stock of other store while making invoice, but its based on permission assigned to specific role.